Pride of America is currently being impacted by Hurricane Lane in the Pacific. As a result, Norwegian Cruise Line has extended the current voyage to stay out at sea and delayed the next scheduled cruise. We posted two days ago that Pride of America was already forced to cancel a port of call in Hawaii due to Hurricane Lane. Due to the impact of the storm the ship had to make further changes by adding an extra sea day on the current cruise. This is to keep guests and crew safe out at sea away from Hurricane Lane. 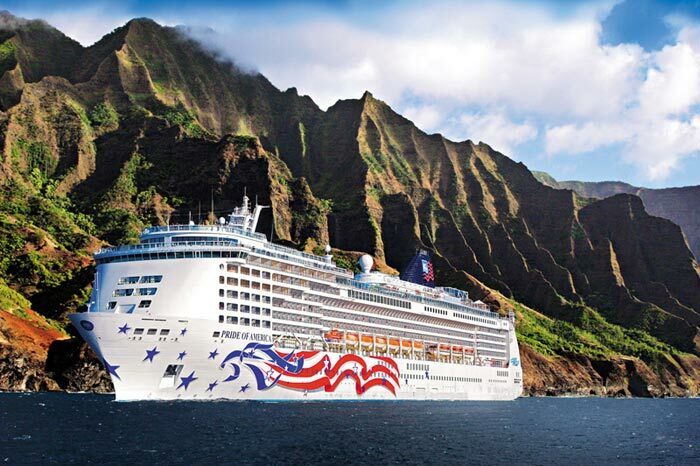 Originally the next scheduled voyage was set to depart Honolulu, Hawaii on Saturday, August 25. Instead, the Norwegian cruise ship will arrive back on Sunday, August 26 and the next voyage will now depart on Monday, August, 27. Due to Hurricane Lane in the Pacific, we have modified the itinerary for Pride of America. The ship is currently out at sea, away from the storm. Pride of America is expected to return to Honolulu on Sunday, August 26th. The previously scheduled August 25th sailing will be delayed until Monday, August 27th. Embarkation will be available on both Sunday, August 26th and Monday, August 27th. We understand the disappointment and inconvenience travelers are experiencing as a result of the weather conditions in Hawaii. Our team is working diligently to assist our guests, including deploying our Care Team to Honolulu. 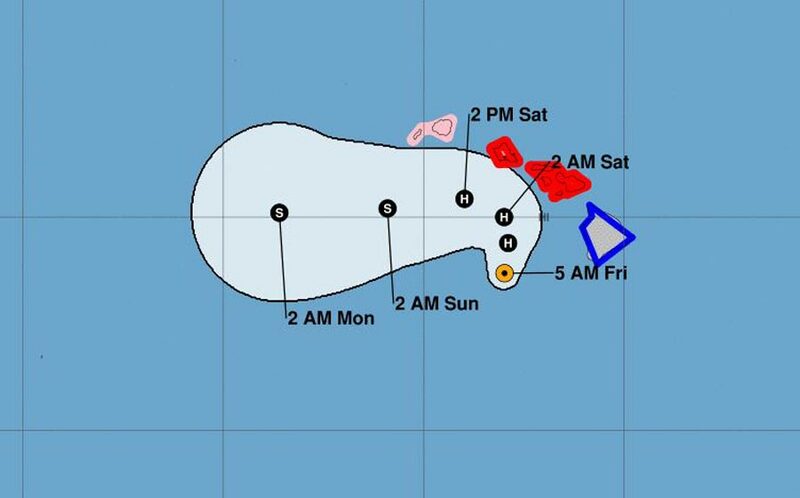 As this is still developing and depends on the development and movement of Hurricane Lane further updates are expected. The delayed cruise which is now departing on Monday was supposed to be 7-night itinerary around Hawaii, this will be adjusted and the cruise line will have to reduce the days. No doubt guests booked on the voyage will be compensated for the shorter length. If you are booked on this cruise do check NCL for official confirmations and details. The good news is that Hurricane Lane has been downgraded to a category 2 but is still very dangerous. According to the National Hurricane Center Lane has maximum sustained winds of 110 mph and is moving north at 5 mph. Hurricane Lane is currently located 290 km south of Honolulu. 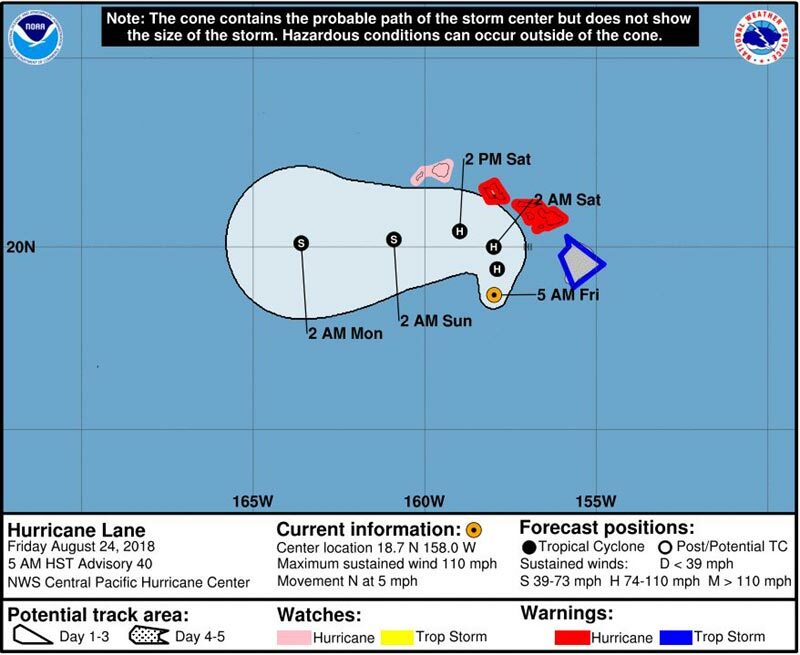 Lane is moving slowly which means the impact on Hawaii is major. At the moment the big island is experiencing catastrophic flooding. As usual when it comes to major storms like this expect heavy rainfall, high winds, and very large swells. Don’t take any risks and if you are traveling to Hawaii for a cruise please stay safe.